Lumio Cam covers the range from beginners to professional photographers. Ideal tool to capture photos and videos for Instagram, Facebook, Youtube, Vimeo and other social media sites. Lumio Cam mimics the interface of a real photo camera with its buttons and wheels. 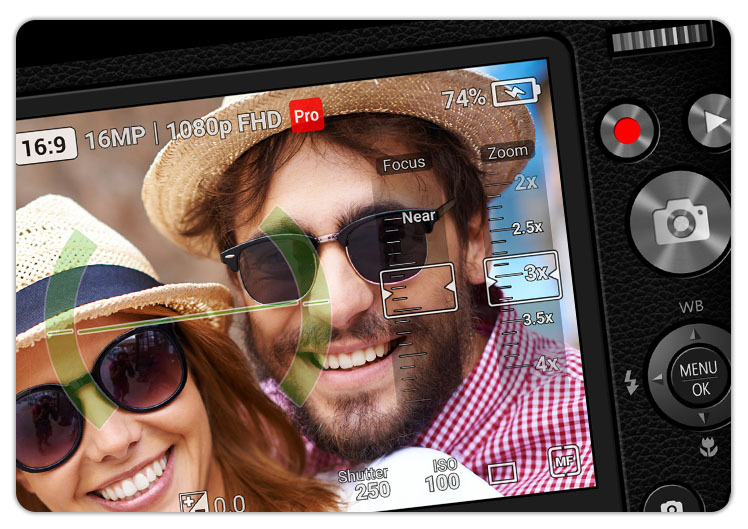 Full Manual Camera Controls including Focus, Exposure Time, ISO and RAW(DNG) support. 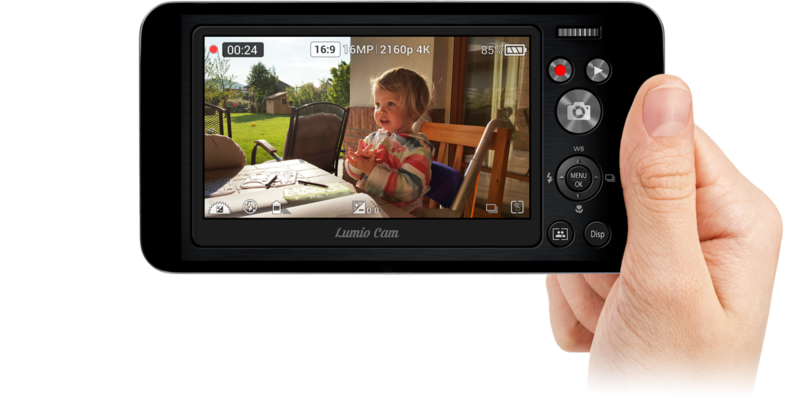 Lumio Cam helps you to record great video clips even in 4K resolution. Lumio Cam helps you to capture photos and videos remotely from your Smartwatch. Live preview image is available via Bluetooth link, just like flash or drive mode settings. 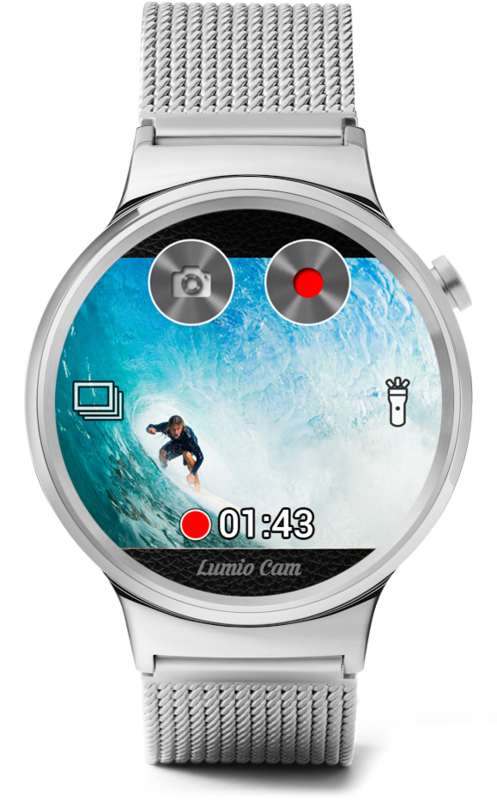 Starting Lumio Cam on your Android Wear Watch will launch Lumio Cam on your phone automatically. You can use Lumio Cam just like a real photo camera. The user interface is optimized to be used even in direct sunlight. Lumio Cam can record videos in HD, Full HD or even in 4K! 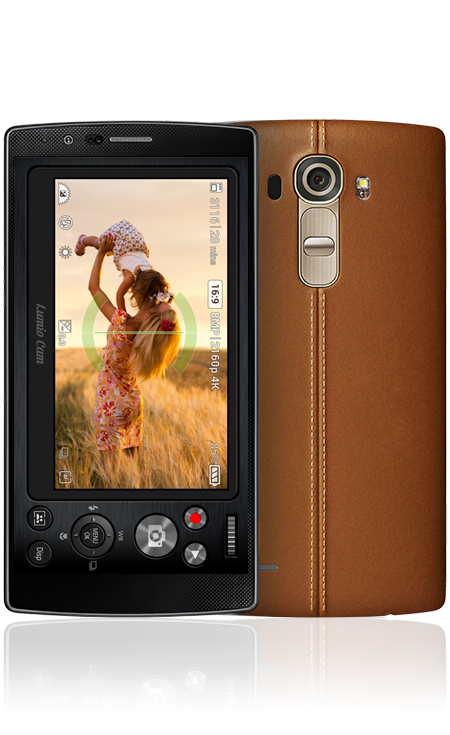 It supports manual controls, so you are be able to adjust focus, iso and shutter time during the video capture. Bitrate and Frame Rate are also adjustable. By using flat profile type you get better dynamic range for post production. Lumio Cam gives you a total solution for your photo and video needs. 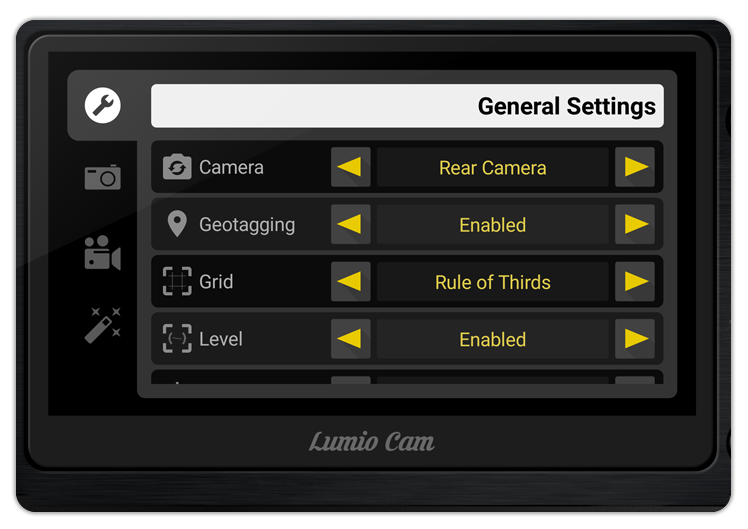 Besides the clean and intuitive User Interface, you can also find detailed settings to fine-tune Lumio Cam for your needs. Is there any limitation or ads in the free version? There is no advertisements in Lumio Cam. In Trial mode Lumio Cam can record short video clips only (30 sec), otherwise it is fully functional, you can use all the features including the "Pro Mode" (if supported by your device). I cound not find "Pro Mode" under Settings/General. Your device probably does not support camera2 API, which should be implemented by the manufacturer of the phone/tablet. Without this new camera API manual functions are not accessable. How can I change the exposure manually in "Pro Mode"? In "Pro Mode" you can change between auto and manual exposure mode with a single tap/click on the exposure wheel on the top-right corner. In manual exposure mode ISO and Shutter sliders are displayed in the viewfinder. Where can I find the RAW (DNG) file saving option? After selecting the "Pro Mode", please go to the "Camera Settings" tab and select "RAW" or "RAW + JPG" mode from file format row. I could switch to "Pro Mode", but I can not find "RAW" settings. Your device probably does not support camera2 API, which should be implemented by the manufacturer of the phone/tablet. What does "Forced 4K" resoultion mean in video settings? "Forced 4K" setting means that 4K/UHD resolution is officially not supported on your device, but Lumio Cam might able to use it. 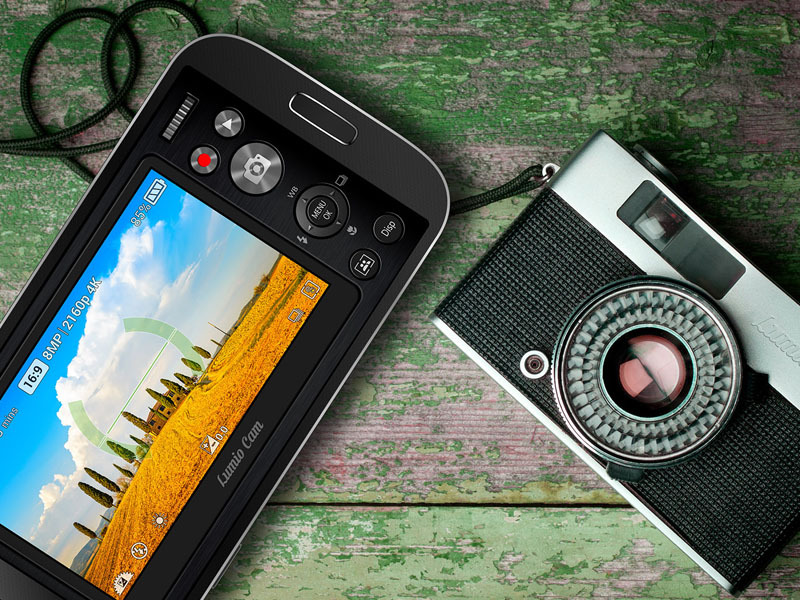 On some devices this enables the 4K video recording, while on other devices might not work. In Trial mode Lumio Cam can record short video clips only (30 sec), otherwise it is fully functional. If you like Lumio Cam, please consider to support our work by purchasing the full version. Thanks.